People are too obsessed with the short game. The stuff that gets you results right now. Let’s take the humble cup of coffee. An average small americano from any of the major chains in the UK will cost you around £1.96. If we look at the pharmacology of caffeine and it’s short game. Caffeine stimulates the nervous system and helps to increase alertness and reduces sleepiness. However, regular ingestion of excess amounts of caffeine can lead to problems such as poor concentration, nervousness, heartburn, constipation and hell, it can even cause you to be taking the kids to the pool on a fairly regular basis. 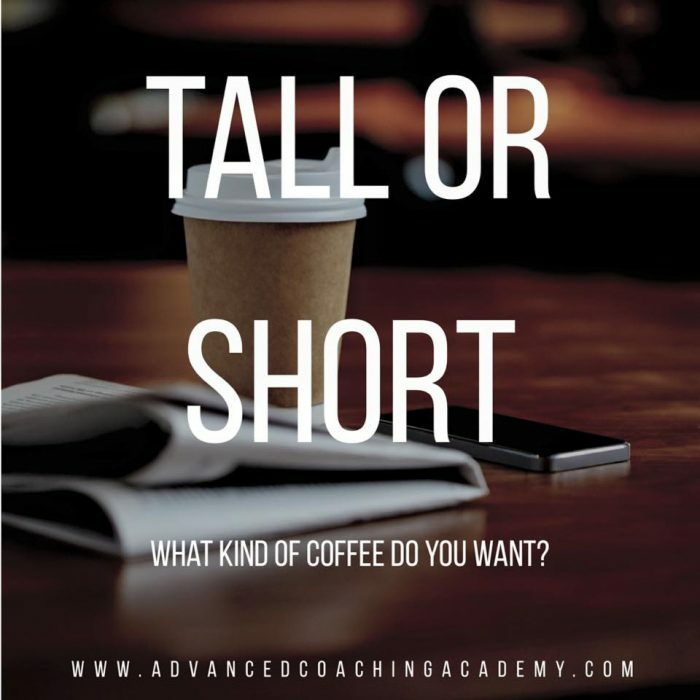 Just over a year ago I created the Advanced Coaching Academy which costs less than that small cup of coffee a day. Not only that but added to the ACA this year was the AfN (Association for Nutrition) certified, Applied Nutrition and Supplementation qualification. It STILL remains less than that cup of coffee per day. If you’re an aspiring coach wanting to look after their long game and their future maybe the ACAs a good option for you. If you’re going to stay focused on your short game and make sure you’re living day by day. Enjoy your coffee.